Ideal for your DL sized paper or card stock DIY wedding invitations that you lovingly handmade, complement it with these DL envelopes offered to you in a broad range of colours, finishes and textures. Choose from classic shades of white, ivory, and cream, or go with sheens such as silver, champagne, shimmer, crystal and more to match the look of your DIY wedding invitation for a cohesive and elegant theme. 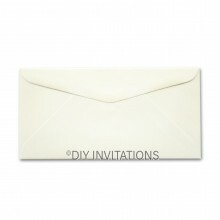 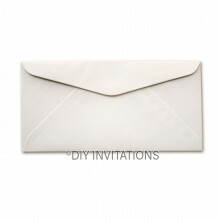 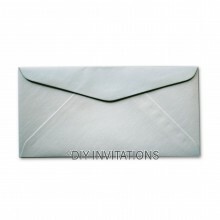 These DL envelopes that measures at 222mm x 112mm, is ideal for sleek and slim invite styles and designs. 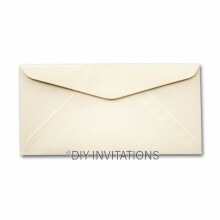 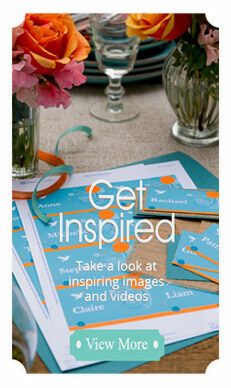 Complement your handmade creation with a lovely choice of envelope.